The RYA Motor Cruising scheme is ideal for people with power boats over 7m wishing to get training to skipper their vessels safely and competently. We have courses ranging from the Helmsman certificate for beginners to the Yachtmaster Certificate of Competence for the more experienced and those wishing to skipper boats commercially. You can do any RYA Motor Cruising course on your own boat. We provide a qualified RYA instructor to come to you to teach the skills you would like to learn. The RYA stipulate that the boat should be greater than 7m in length, shaft driven by single or twin inboard engines, or possibly by stern drives, with sleeping cabin and galley facilities. Our school boat, Gabriele, is a 40ft luxury motor cruiser made by Azimut Yachts. 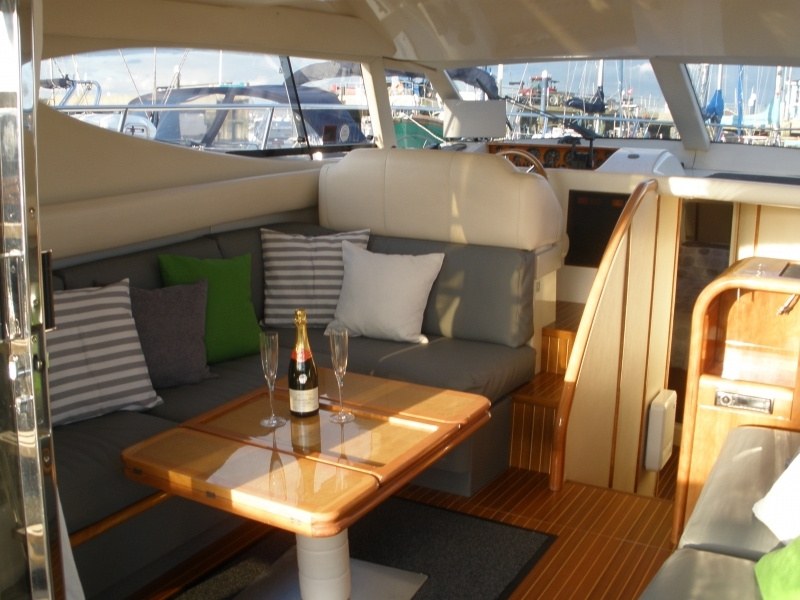 Over the past few years we have fitted it out to a high standard specifically for chartering and training. 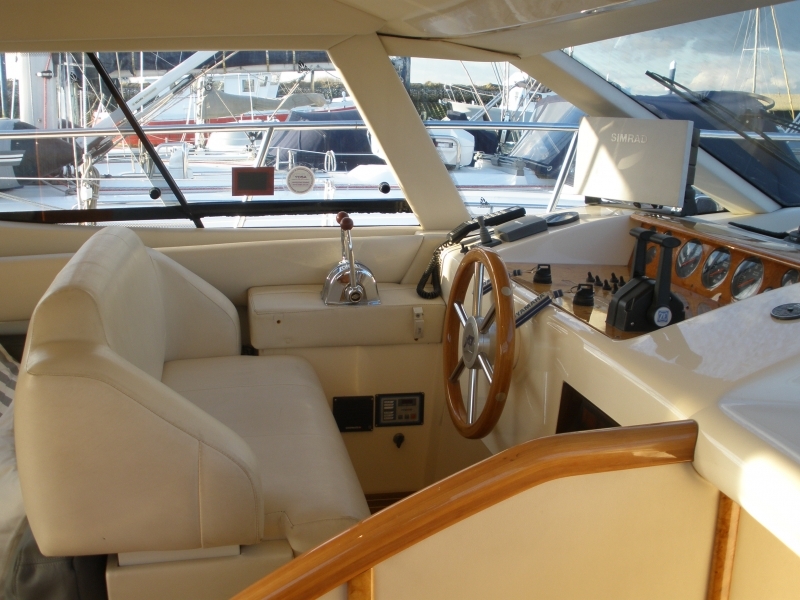 It has state of the art navigation electronics at both the flybridge and saloon steering positions. It is propelled by twin 300hp caterpillar engines giving a cruising speed of 20knts, with a bow thruster to aid manoeuvring. 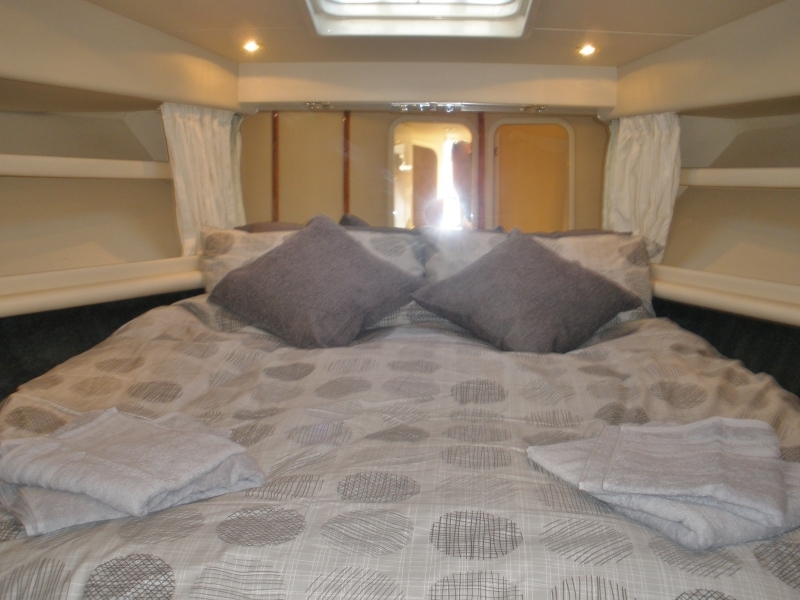 The interior is spacious and airy, featuring a master cabin with double bed and en-suite, a cabin with 2 single beds, galley, and comfortable saloon. There are pictures of Gabriele at the bottom of this page. Gabriele is kept at Port Solent Marina, Portsmouth. Our cruising area offers unlimited training potential in stunning surroundings. The marina itself is sheltered and has lots of space for berthing practice. Port Solent Marina is in Portsmouth Harbour which is perfect for practicing pilotage, tidal navigation and manoeuvres in sheltered waters. Portsmouth Harbour is located in The Solent, considered to be one of the worlds best cruising areas with an abundance of places to visit and things to do.